I will start this review by saying that I am not much of a cook. I love good food, but have little to no interest in making it myself. My cooking, such as it is, is mostly just to keep us alive. If it's a step above 'edible' on the scale, I consider that a win. So as you might guess, my cookbook collection is rather small. About a dozen. Of those books, half are Oliver's, several were given to me & I think I may have purchased two. Emily Wight's book is one of those two. Well Fed, Flat Broke, Recipes for Modest Budgets & Messy Kitchens (hereafter WFFB) is kind of beautiful, the kind of book I might have picked up in a bookstore, but then put down again because, well, did you read the previous paragraph? However, if you actually look through it, which I've found a little time to do, the recipes are interspersed with stories & useful tips on cooking, all from the perspective of, & for an audience of, a person who wants to eat well without breaking the bank. This is an accessible cookbook & instruction manual that will help you learn to make (& eat) some really incredible food without spending a mint. Emily is a true gourmet, constantly challenging herself to make incredible dishes for her lucky husband & son, as well as friends & family. But she's also really down-to-earth & willing to share her failures (like the disaster of roasting a whole chicken for her parents: she winged it & the bird was raw inside!). Did I mention she's funny? Of all my Facebook friends, I can honestly say that she's never written a status update I didn't laugh at. WFFB doesn't disappoint in this regard--it's engaging & the kind of book you might actually read cover to cover, if you didn't have two small screaming children running amok around you. I tried a few things out of the book at Emily's book launch last weekend: Dutch Meatballs (p.161), Kimchi Pancakes (p.185), & Avocado Cream (p.93). The latter was offered as a veggie dip, but in WFFB Emily suggests it as a taco topping, a brilliant (& delicious, of course) way to stretch your avocado dollar up here where we can't grow them. Emily's Dutch meatballs are kind of addictive--the touch of garam masala in there along with a handful of other flavourful seasonings (not telling you what--you need to read the book!) make them a step above pretty much any other meatball I've tasted. The Kimchi pancakes were a surprise for me--reminiscent of okonomiyaki, but more fluffy. They're definitely savoury--not something you're going to smother with syrup & fruit compote--& make an excellent snack or appetizer. Great for dipping in sauce (recipe also provided in WFFB), I could see my children liking these for dinner or a weekend lunch. I've joked about not having time to read the book because of my children, but don't let me give you the impression that the recipes aren't family friendly fare. 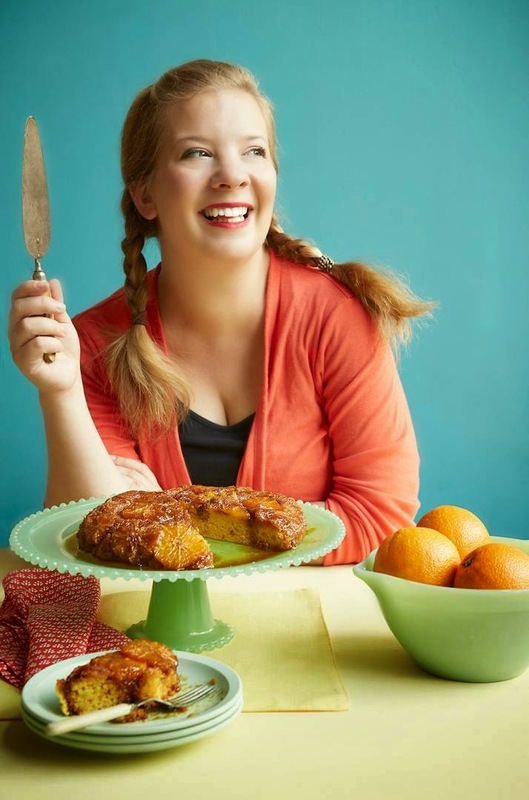 Emily has experience with picky toddler eating, being a mom, & her book includes an entire section on the topic, as well as many recipes that are particularly attractive to kids. So, to sum up: if you are a foodie, you need this book. If you are not much of a cook but like to eat good food like me, get it. If you are trying to find a good gift for someone else, this is perfect. Everybody, just get a copy. 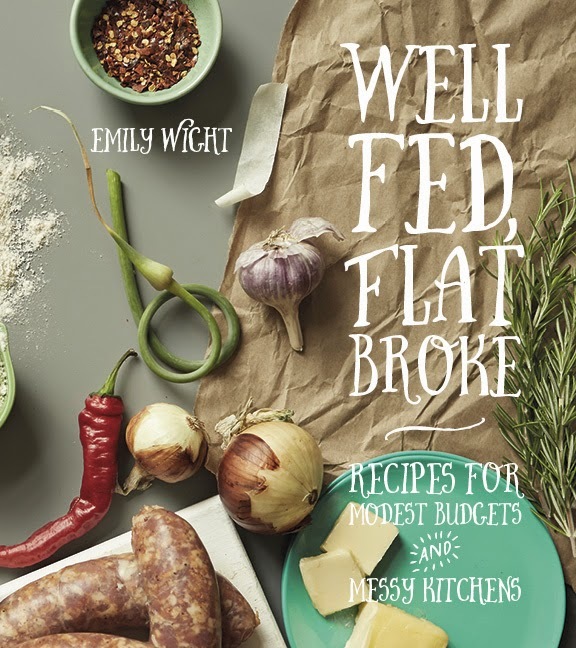 Well Fed, Flat Broke is available all over the place for $24.95 (though I hear you can order it on Amazon for a bit less) in actual-paper-book format, or even ebook. Disclaimer: I bought my own copy of this book & was not in any way compensated for this post. The link just above IS an affiliate link however, so if you buy through it, I'll get a small commission.